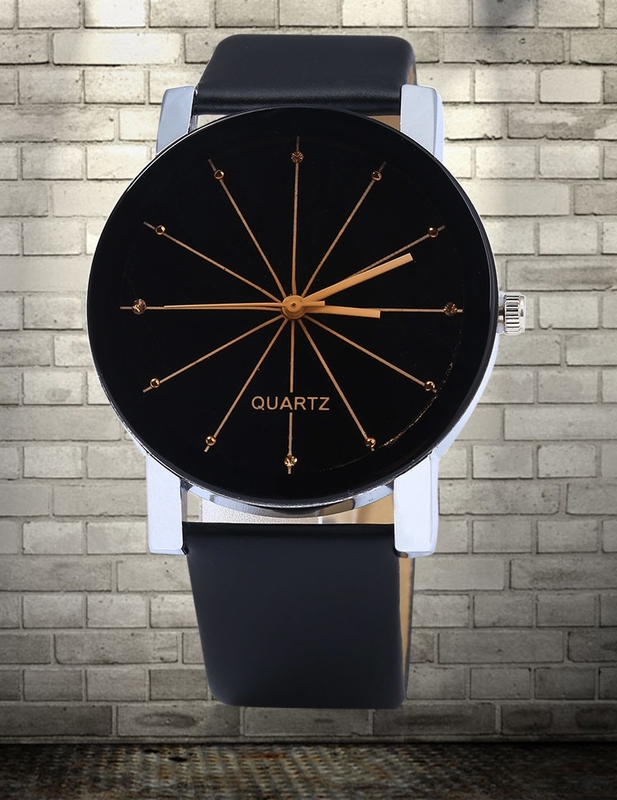 Features:● Line dial analog quartz watch for men. 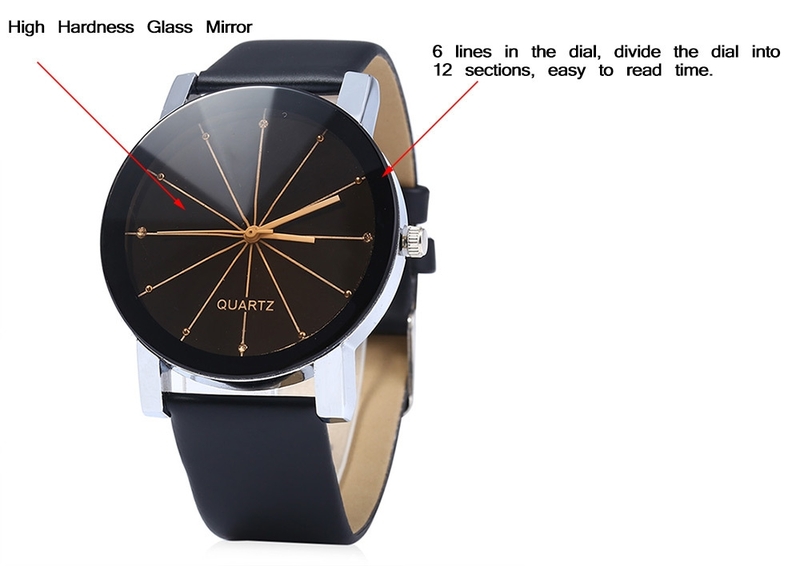 ● 6 lines in the dial, divide the dial into 12 sections, easy to read time. 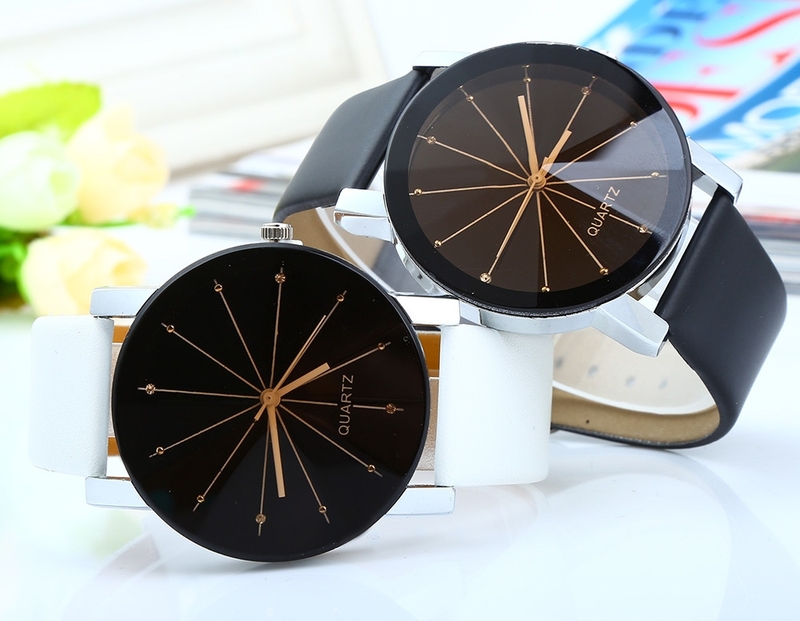 ● Alloy case, and high hardness glass mirror, strong and sturdy in structure. 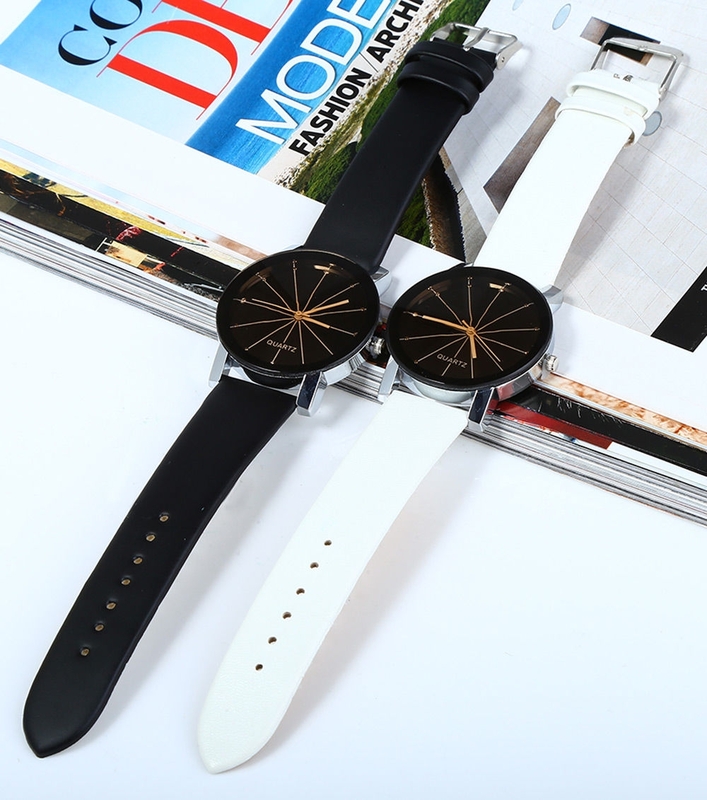 ● Leather strap, soft and comfortable to wear. 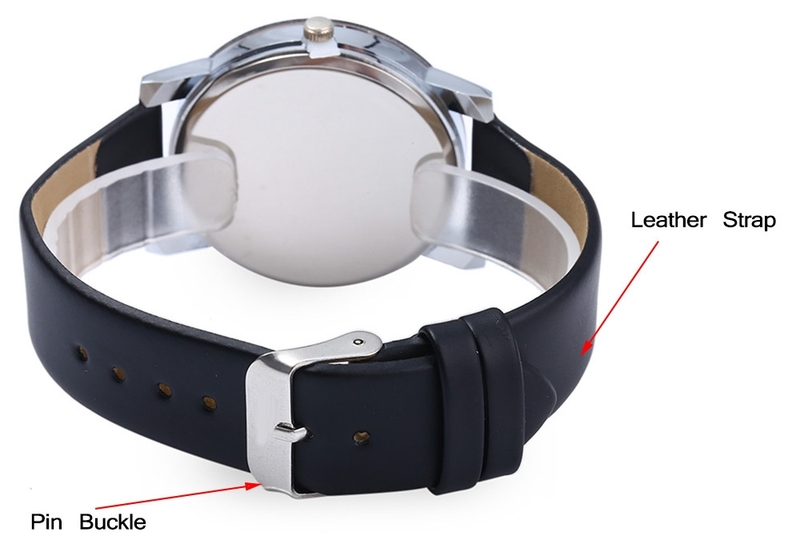 ● Easy operation, just pull out the crown at the flank to adjust time. 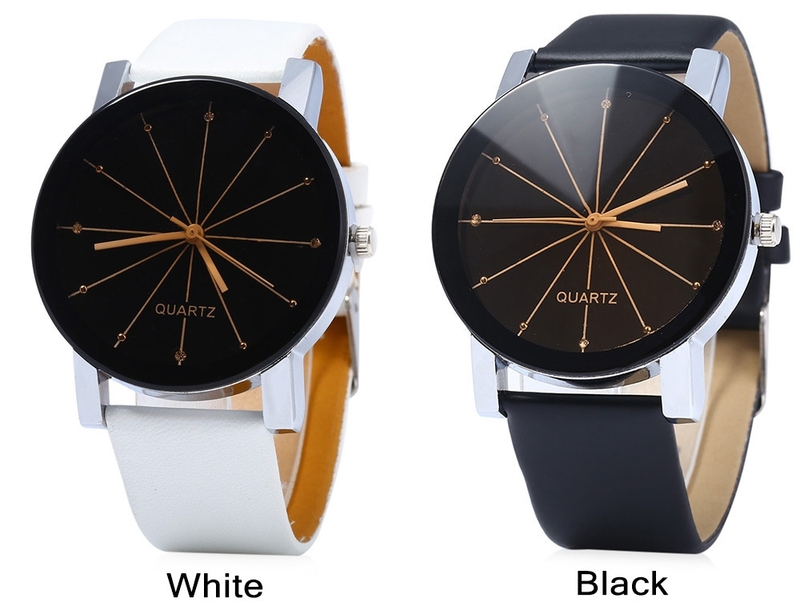 ● Line dial analog quartz watch for men.